Ever wondered how they always ace those crazy looks on the red carpet even though they’ve got bold outfits and bright colors? Need a thorough guide on how to always perfectly match your makeup with your outfit to create some truly next level, stunning looks? If so, then you’ve come to the right place. Today we’ll be going through the essential keys to unlock red-carpet level visual matching that will revolutionize your visuals and make you shine no matter what. They’re easy to apply and deadly effective so let’s dive right in! This is a very common and easily preventable mistake. 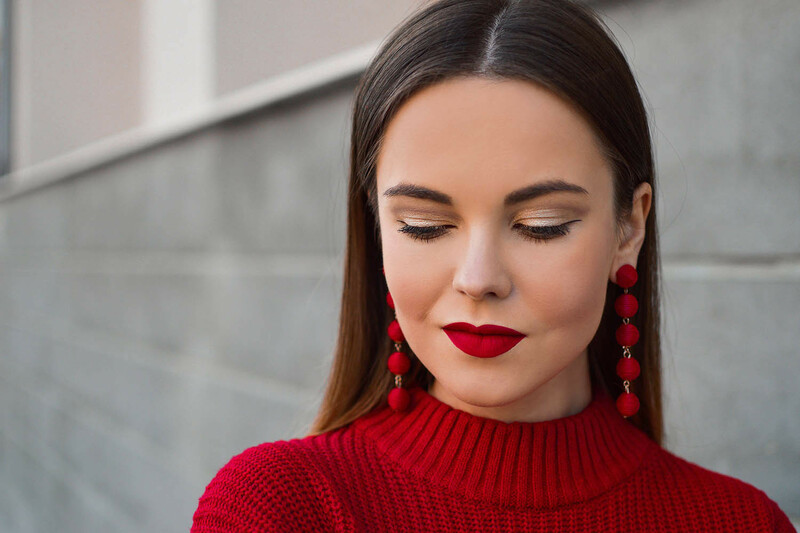 While an exact match can be extremely effective and good looking – burgundy lipstick with a burgundy blazer for example – you can’t go overboard or it’ll quickly lose its charm. If you’ve got blue jeans and a yellow sweater, using a blue lipstick and yellow eye-shadow isn’t the way to go at all. Instead of taking the concept of matching literally, think of it as a palette in which your outfit, makeup and hair are a part of. All of them together should create a handsome and cohesive set of colors instead of being hard repeats of one another. If you want a little help with making these decisions, then the next step has got you covered. As you can see, opposing colors are complementary and always looks stunning when put together due to their innate ability to play with each other beautifully well. You probably already know the classic blue/orange combo which is so visually appealing and effective that nearly every movie poster features it – and now you can harness its power into your own appearance! Other great ones include green/pink (a rather bold choice) and yellow/purple (extremely popular as well), both of which are foolproof combos. On top of any 2 complementing colors you choose, neutral ones such as gray, white and black always look perfect too and don’t disrupt the balance. There’s also an awesome tool online that you can use to automatically get the palette done for you (it has a lot of great options to play around with), you can find it here. In order to look perfect, you’ve got to achieve an even, balanced look all around. This means that no part of your outfit or makeup can be heavier than the other and should instead play in harmony. For example, going for an all-black outfit and then using blue/orange makeup doesn’t really work – even if it follows the color wheel’s rules – because of the obvious imbalance in “weight”. If you had blue jeans, a black shirt and orange accents though (jewelry, a scarf, etc…), you could pull of the look with ease. It’s all about balance. This applies to all-neutral looks as well as you’d need at least black shoes and a black belt to match black lipstick if you wore all white clothing. Not only does your makeup and clothing have to match, but they’ve got to match the occasion as well. If you’re going to attend a formal, professional event then you’re better off going with subtler combos and sober colors instead of choosing vibrant combos that pop and vice versa. An easy way to ace formal makeup/outfits is to use a neutral color as your primary structure and then build from there, even adding a strong red if you want a bit of brightness and character. For more laid back and informal occasions you can go as wild and creative as you want to, the only thing stopping you is your own comfort with the visual impact which ties in with the next very important point. No matter which colors you end up going with, your look’s success depends on one thing – confidence. The way you move, the way you talk, the way you walk, all of it will make or break your appearance so as long as you’re happy and sure of yourself, you’ll crush it. New trends have been created due to this, looks that appeared to be outrageous turned out to be hits due to how comfortable and confident with it the users were so the real trick here is to own the look no matter how unique or bold it may be. You look great – don’t be afraid to show it! With these awesome tricks by your side, you’ll ace your makeup and take your looks to the next level. 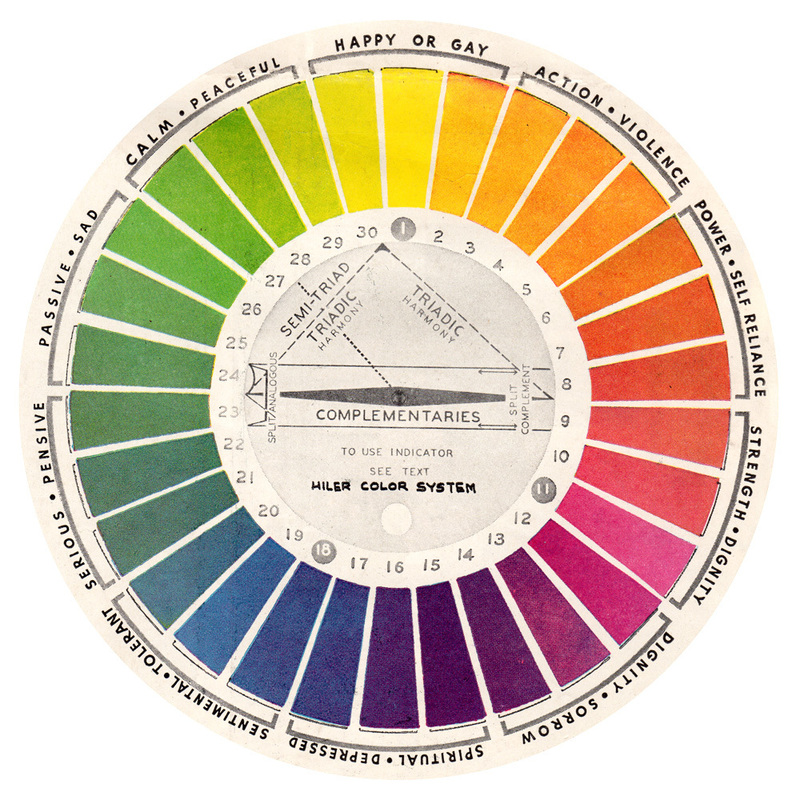 Be sure to print the color wheel if needed and place it on your vanity desk or near your makeup accessories so you always know how to perfectly complement your outfit – it’s one of the most effective and powerful ways to ensure that you look stunning no matter what. Now that you’re ready, go on, have fun and rock your look!